Programming – not vocational, but gives kids agency – kids aren’t being programmed by computers anymore, they are programming the computers! Lego Robotics – Mindstorms global competition with tens of thousands tudents, where students use Lego and robotics to build robots while learning about Maths, Physics, design thinking, team work, collaboration and more! Gary believes that as educators we need to be aware of trends outside of school that can provide us with inspiration, and tools. The big trend to learn from? Makers Faire’s which have been around for 8 years! Schools should be in the business of teaching kids to solve problems their teachers have never been exposed to – and the way to achieve this to place a focus on MAKING. It’s a powerful learning experience to make things – but even more powerful is to learn by making things work. And this needs to be the heart of what school is about. 3. Connect things a kids loves with things they struggle with – and make it about making! Making shouldn’t be a specialised bunker like a computer lab. It should permeate the school – when do kids frankly get the opportunity to become good at something at school. Is deep learning possible? When do kids get to do something longer than a course of antibiotics? The key is to connect things a kid loves with things they struggle with. For example, you frequently hear stories from teachers about students with low numeracy and literacy – struggling at school, and then they start exploring Steam Punk worlds and go and build amazing things. A great example that Gary referred to was Super Awesome Sylvia Show who records videos on how to make things and uploads them to Youtube, which have now been viewed millions of times! She’s been to the White House twice in last year – yet school is threatening her to fail her! 4. You cannot teach 21st century learners if you have not learned in this century. To teach you need to be a learner – and making, and learning to make things work as teacher is the most powerful way to develop these skills! 5. How to make MAKING a reality? As a team of ‘makers’ – building myEd App from the ground up, Gary’s ideas resonated very strongly with our team, as we all reflected that we’ve learned the most in our lives when we’ve been ‘making’ – making something, and making something work! But how can you make MAKING something that happens in your school? We’d recommend you check out Gary Stagers book “Invent to Learn” which has hundreds of examples of projects and things you can start implementing immediately! From working with schools that have Maker Spaces, 3D Printers, Programming classes and a focus on MAKING, we’ve found that scaffolding out the projects for your students and keeping track of everyone can be tricky (on top of learning something new) – myEd App however makes this easy – after all it’s been co-created by schools. 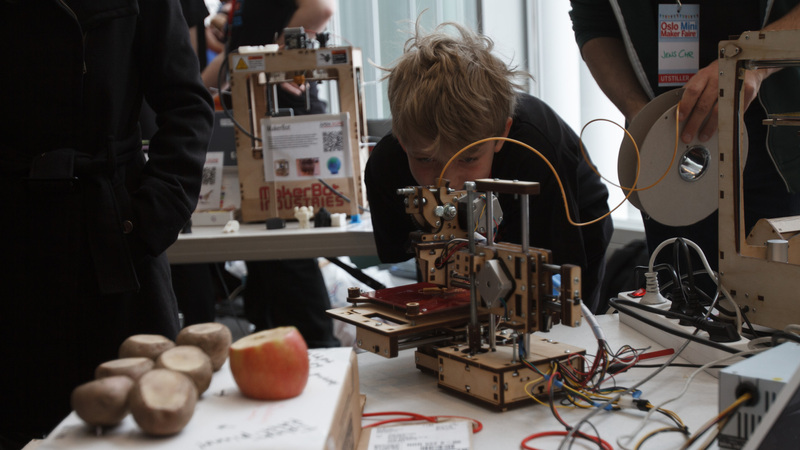 Want help setting up your first Maker project? Get in touch with us and we’ll help you get started!